NRAD was recently honored by our peers for our community outreach programs and community involvement. The annual service award recognizes ambulance districts for dedication to and focus on community partnerships for education, prevention, recognition and treatment that improve the overall health and well-being of our citizenry. Read more about it in Executive Director Scott Roy's column. Medic 44 and the Supervisor operate primarily from the Platte City Station. for service received in our district. 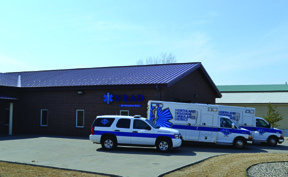 NRAD has Advanced Life Support Ambulances stationed in Camden Point, Platte City and Smithville. The Camden Point station is located just north of E highway and Interurban Road. 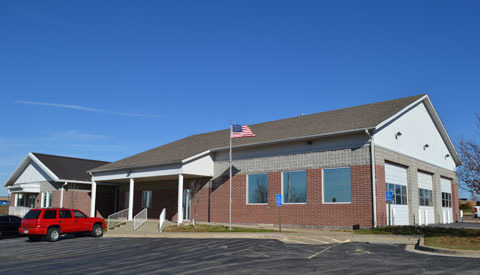 The Smithville station is on Richardson Road, just west of 169 Highway (south of the Smithville Post Office).